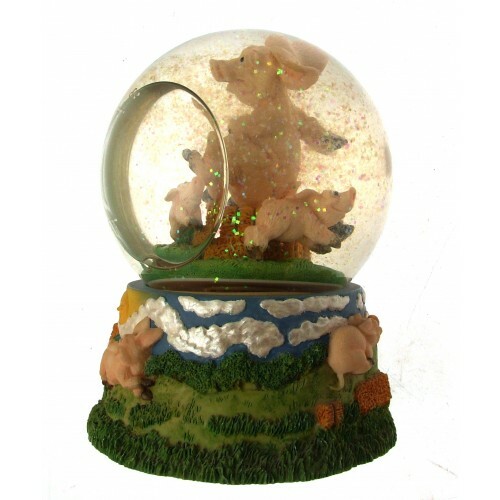 A David Corbridge pig design waterglobe that is also a music box, called Piggin Kids. 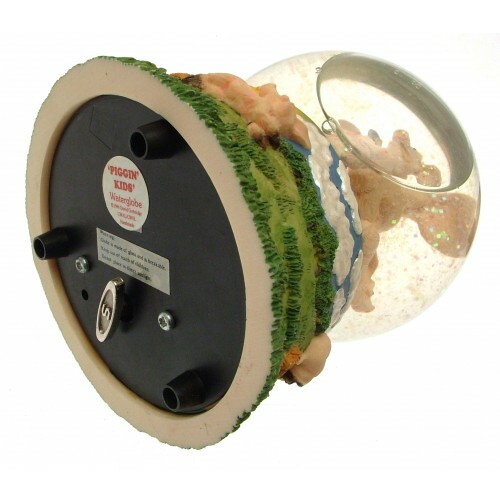 Wind the key to the base of the waterglobe and musical box plays the tune of Old McDonald Had A Farm. Great decorative item for a children's nursery or bedroom. 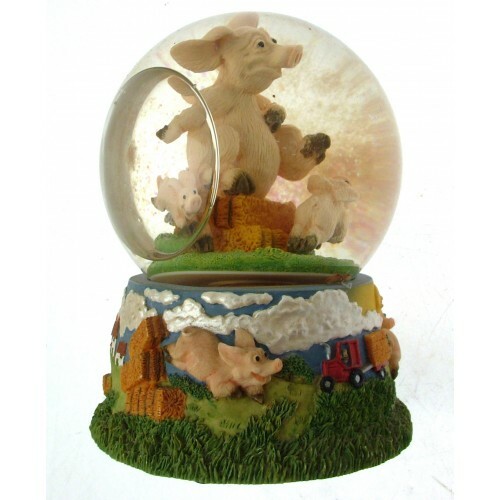 This cute little pig musical box and waterglobe is also an ideal gift for anyone that generally loves collecting pigs or David Corbridge collectables. 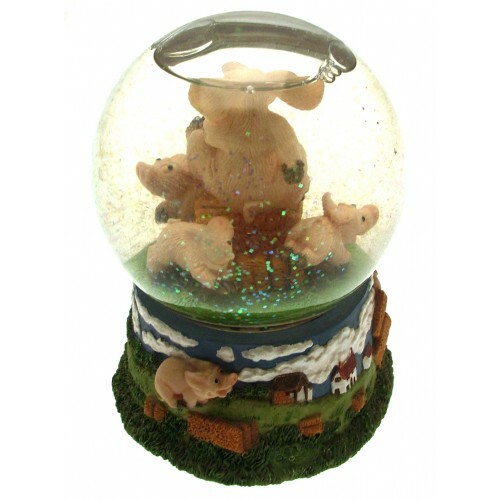 Although previously owned, this pig waterglobe and music box is in very good condition and measures 14 x 11 cms. Dates to 1996. Please note that the globe is made of glass and is breakable. For this reason, please keep out of reach of young children. A cute Danbury Mint pig figurine - 1 of a collection of 25. This particular pig is called Pig Ignora..
A David Corbridge pig ornament, called Piggin Packing. This is 2000 Piggin Anniversary Special piece..
A David Corbridge pig ornament, called Piggin Dressed To Kill. This cute little pig is an ideal gift..
A David Corbridge pig ornament, called Piggin Tee'd Off. 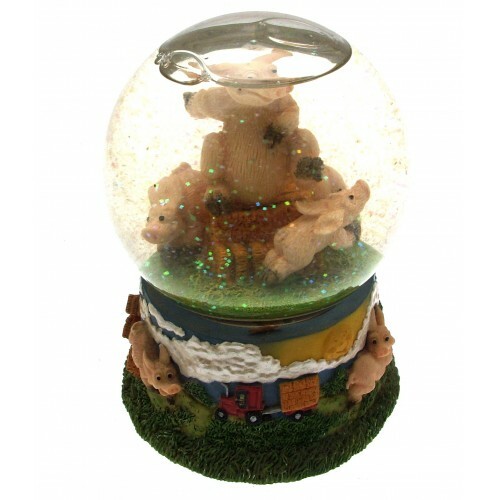 This cute little pig is an ideal gift for a..